We offer a full range of dental services for needs of any age. Our primary emphasis is on prevention . We will always thoroughly evaluate your dental needs and make recommendations to keep your smile healthy. We provide comprehensive preventive dental care including thorough exams to check the health of your dentition, oral cancer screenings, and necessary radiographs. Along with a thorough exam, we provide professional cleanings that will make your mouth and smile feel their best. We are committed to the fact that regular, thorough cleanings are one of the most important steps to good dental health. 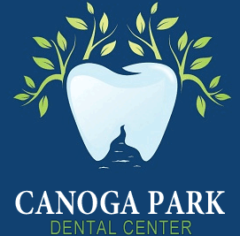 If you want to restore damaged teeth and transform them to look exceptionally good, then visit our dental office in Canoga Park, where you will feel completely at ease. Many people have teeth that are chipped, discolored or broken, which cause distress and depression. On careful examination of your situation, we may suggest that you get a crown. A dental crown is literally a tooth armor put right over your existing tooth, completely encasing it, covering it and strengthening it. If you have had a root canal, a crown is often recommended to protect your tooth. A crown can be made of ceramic, gold or porcelain fused with metal. Your choice will depend on both the aesthetic and durability qualities of the substance selected. We will discuss with you the pros and cons of different types of crowns and help you determine the best option that fits within budget and aesthetic concerns. You don’t have to live with uncomfortable and unsightly gaps. A fixed dental bridge is a non removable replacement for missing teeth. A dental bridge can be made from porcelain, gold or ceramic-metal fused material. We will explain the advantages and disadvantages of each type of dental bridge, and recommend the best substance for your individual situation. We will take note of the severity of the pain you are experiencing as well as how long it lasts. Based on this as well as thorough dental examinations and X-rays, we will ascertain whether your tooth requires a root canal or if the problem can be fixed with a routine dental filling. If the tests point to a diagnosis of irreversible inflammation of the nerve, a root canal may be recommended. From the moment you schedule an appointment until the services are completed, we provide undivided attention to our dental patients. We earn his patient’s trust through an unyielding commitment to offering comprehensive dentistry in a caring and compassionate environment using proven technology and techniques. From the first appointment, we perform all evaluations and treatment personally for each patient. This allows the patient complete one on one care and discussion at each appointment. We has built our practice on the philosophy that every dental patient is a valued friend whose trust and confidence is vital to the future success of our practice. Our business has been built on patient referrals and looks forward to serving you and your referrals.